Until now, clunky implementations and fragmented marketplaces have made applying header bidding to video almost impossible. 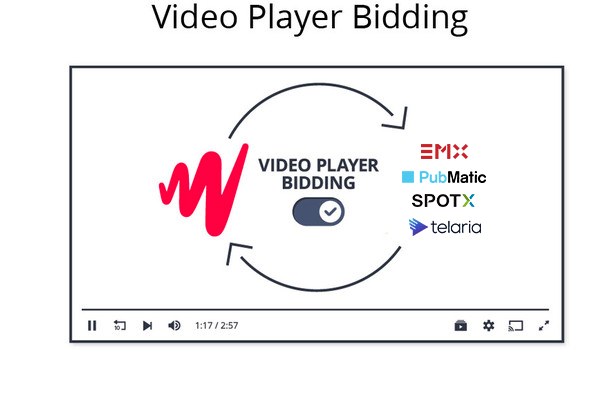 Video Player Bidding, the first solution of its kind in the market, drives monetization, reduces latency and, allows you to bring header bidding to your player - with one click. Connect directly to demand sources increasing access, competition, and monetization of your video inventory. Activated through the JW Player interface, this integration requires no additional code or developer resources. Advertising partners can tap into premium inventory at scale. Ready to get started? Request access to our exclusive beta program.